You start when he is two months old, you know it is important. All the experts say so, all the articles. Read to them, read to them incessantly. Do it early, the earlier the better. He seems like an alert baby, this one, wide-eyed and curious. The way he bats at his toys, the way he tracks your movements with a searching, soulful expression. Maybe all babies are like this, you aren’t sure. He is your first. You project onto him constantly—thoughts, feelings, skills—as if projecting will make it so. Your mother sat with him when he was one week old, just home from the hospital, a sliver of a thing, and read him Pat the Bunny in that special sing-song voice you remember well from your own childhood. “Judy can pat the bunny,” she said, as your son stared into the middle distance, head lolling. “Now YOU pat the bunny.” She took the baby’s starfish hand, the nails still peeling from the wetness of the womb, and rubbed it purposefully against the fluffy bunny. And you couldn’t tell if it was ridiculous or adorable to be reading to a baby so new. All the same, a couple of months later, you decide it is time to begin. Every night, every night without fail. Your husband gives the baby a bath, and then you coo at him, a steady stream of chatter as you stuff limbs into a sleepsuit covered with teddybears or rockets or stripes. You prop him up against you on the bed and read two books. Always two. Sometimes Brown Bear, Brown Bear. Sometimes Here Are My Hands. Sometimes you channel your mother and read Pat the Bunny with just the right intonations. You take it for granted that your son sits still at this age, that he tolerates the books without crying, when what he really wants is his milk. None of your other children will be so patient. By the time he is one, he can pat the bunny on his own. He seems to understand you now, he has words himself, a bevy of animal sounds and an assortment of other babbles that mean something, finally. The floodgates of communication have opened; reading has become blissfully interactive. Your son loves books. 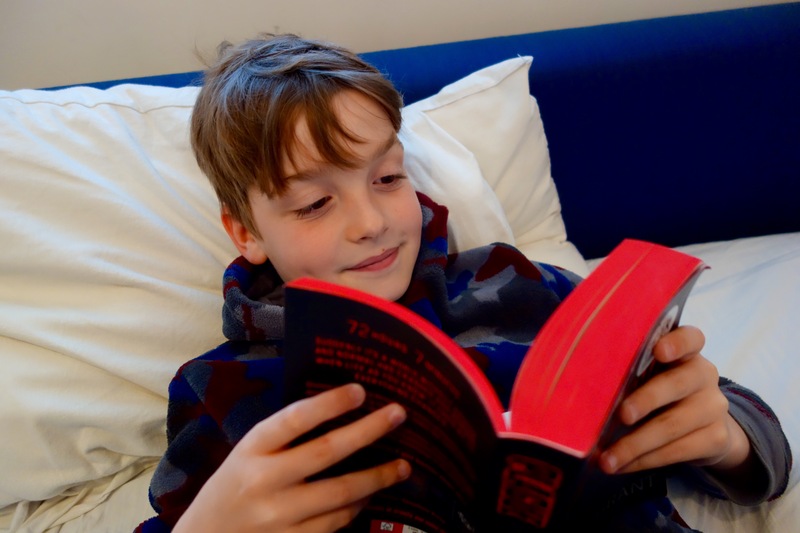 You tell your family, your friends, anybody who will listen: “He loves books!” This makes you proud, as if it is evidence of an impressive feat of parenting or genetics. But of course he loves books, the shelves are lined with them, the house is strewn with them. 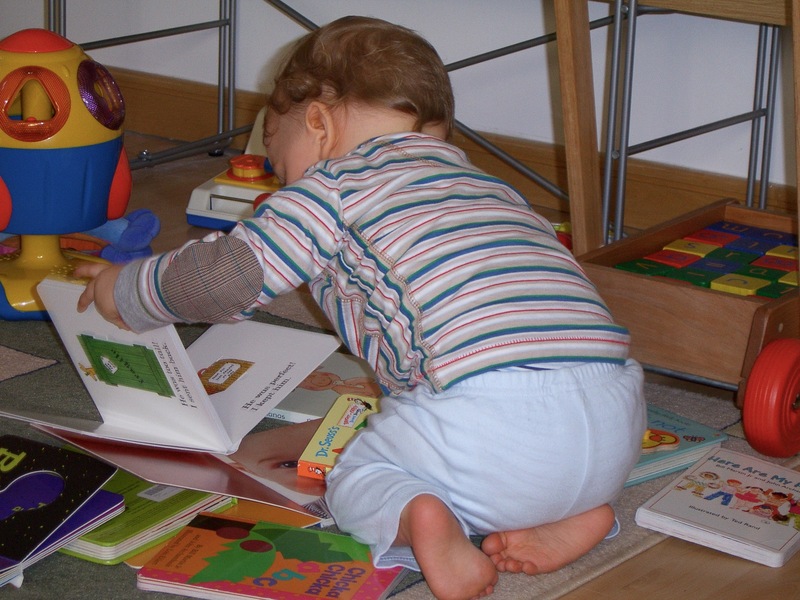 Reading is your go-to childcare activity.